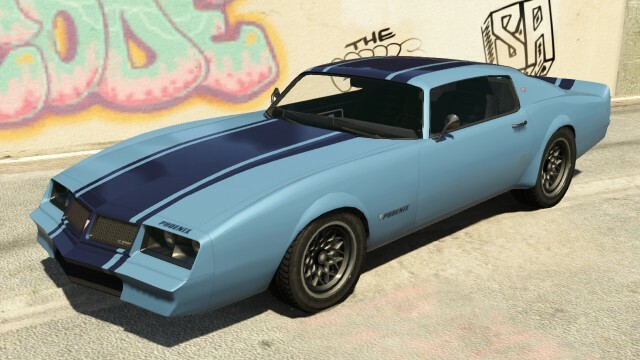 The Imponte Phoenix is a 2-door muscle car that appears in GTA 5 based on the Pontiac FireBird. The Imponte Phoenix is one of the muscle cars that can be highly benefited by the performance customizations, as its acceleration can be topped with the right modifications. Once all of the customization options have been unlocked in Grand Theft Auto 5 for Los Santos customs, it has an option for a high level spoiler, although being much higher than other cars spoilers. It is possibly a reference to Richard Petty’s 1970 Plymouth Superbird. in GTA 5, the Imponte Phoenix is powered by a high output V8 engine, and it has decent acceleration and a high top speed. The car also has excellent torque and can climb steep hills with ease. Unfortunately, it suffers from bad handling. The Phoenix is poor weight distribution and light rear end leads to severe oversteer, especially at high speeds. Its back end is prone to fishtailing, and crashes and spin outs may occur more often than usual in the Phoenix. The durability is below-par, and it is prone to frame loss (bumpers, fenders, hoods, etc.) in event of a rollover accident. 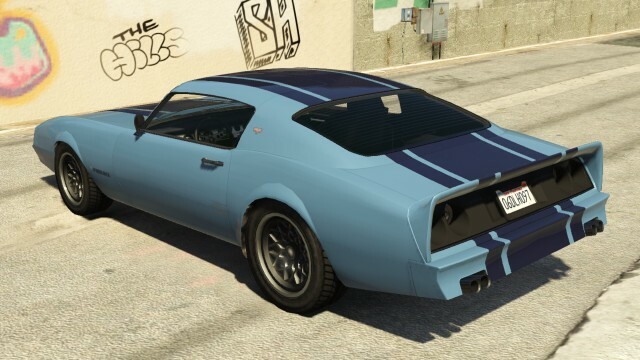 The Imponte Phoenix is quite a rare car to find and can be found in the Rockford Hills area. This car can be obtained at Trevor’s Liquor Ace meth lab after the mission Trevor Philips Industries, unless it is blown up during the firefight. At least eight will spawn, but only two remain after the mission is passed. Can be obtained from the Eastern Motel in Harmony during the police shootout random encounter. Spawns noticably more when driving a Fusilade. The Imponte Phoenix can spawn in Grapeseed, Harmony and Pillbox Hill. May spawn in the near vicinity of Vinewood Racetrack and in South Los Santos around the Vanilla Unicorn. This car may possibly spawn in Little Seoul. The Imponte Phoenix can spawn in the Paleto Bay area at the Clucking Bell Farms. The Phoenix Spawns more frequently when driving a Sandking XL.